Serves in a key relationship role with a significant number of our clients, and is the Executive Sponsor for some of our most important national accounts, including American International Group, Bank of America, Credit Suisse, AWS, JPMorganChase, Nationwide Insurance, and T-Mobile, and Charles Schwab. Howard was the Top National Sales producer for over 10 years at CGA Computer Associates, a predecessor company of Sogeti and CapGemini America, where he eventually earned the role of Regional Vice President. 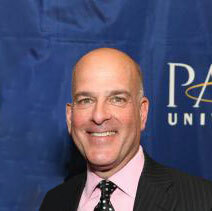 In addition to his role at Modis, Howard sits on the Board of Directors of the Ivan G. Seidenberg School of Computer Science and Information Systems at Pace University in New York City, is an avid cyclist and enjoys auto racing. Howard holds a B.S. in Science from the Lehman College of The City University of New York and is married with two children and three grandsons.